The house system makes team selection easy. For some classes this task involved a runner descending to the front of the grounds and back (we are on the second floor). One lad wanted to run off to gather information for the rest of the lesson. One class was able to name the fuchsia rather than flower. The EAL office poster was great as pupils read their own language or found it was not on the poster and expressed disappointment. In recent years a number of murals have been painted in and outside the buildings. It was great to hear how the display was read. As it says one of the new external murals. The photos gave an opportunity to celebrate the work of different areas of the school. Also the work of individuals and our high profile student leadership team. What sort of quizzes do you use? I have previously developed photo orienteering for Year 7 getting to know the school. So over the last few years I have experimented with different classroom layouts; the horseshoe, lines, groups, large groups linked to ideas I have read about and seen displayed online and at events like BETT. The work of Stephen Heppell has provided inspiration and I have followed Juliette Heppell’s future classroom development with interest. As I do not have a large budget I am always on the look out for ideas. To finish the term I decided to have a discussion lesson where I would share ideas with pupils and see what they liked/ disliked and considered possible in our school. The lesson included visual resources and a video link to Sydney, Australia as well. The starter activity was to identify areas of school they feel they enjoy learning best in – lots of practical subjects were mentioned, but in some classes subjects where written work happens came to the fore. I linked this to the curriculum needs of written exams. They had limited knowledge of other products available but our school is conventionally furnished. I was accused of tempting them with things we didn’t have,some suggestions they liked were considered and how we could modify them for our school. The room had been moved round prior to the lesson and feedback was taken on this as well. We watched a YouTube clip from SCIL. Some objects were identified that we already have in some rooms. Images were enlarged on the Interactive board and discussed. Any changes to my teaching room in 2013/14 will be discussed on the blog. Other ideas welcomed. I am looking to use whiteboards on desks and more use of Solo Taxonomy exercises using hexagons. Ever since I have had mobile devices including phones, I have always taken many photos. These are stored digitally and are rarely printed so may not be seen beyond the computer or browsing through picture galleries. As more colleagues and friends share images they have put together and apps they have tried the more I want to use my pictures in a more imaginative way. I have started to develop a Posters folder on my iPad2 where I try different apps out. Some of the output has made it into lessons but mainly electronically via the Interactive Whiteboard. At the end of term I spent a lesson with all my groups developing ideas and gathering their feedback about Learning Spaces. I have now started to develop galleries I can use in my room, share with the department or maybe even use for cards to friends. Keep Calm – introduced to me by members of the Digital Leader team as a personal way of venting thoughts but also a familiar format. 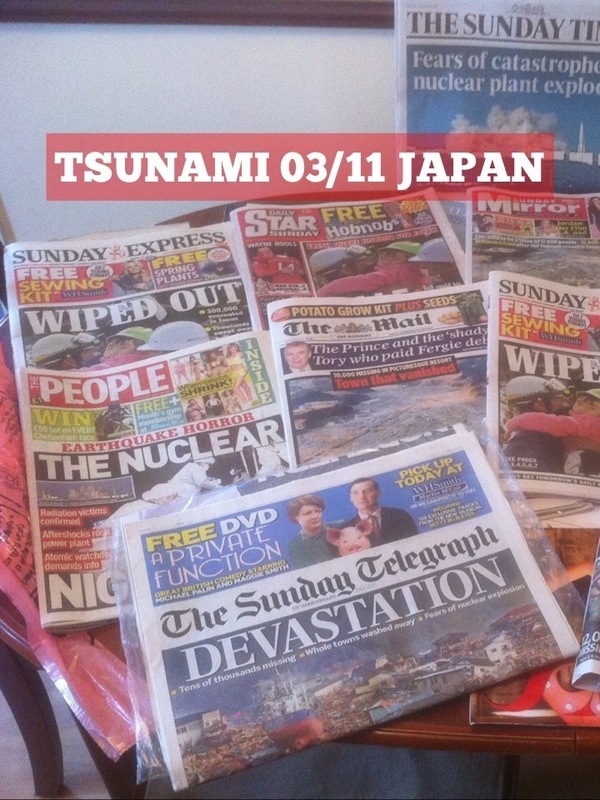 Phoster – using own pictures or news footage to look at a topic from a different perspective, e.g. River flooding. Cloudart – a “wordle” idea for the iPad. Used here for key words in my musings online. Quipio – created posters and then collated in “Pic Collage” to group ideas and ideas formulating to share with colleagues. Maybe a live Teachmeet demo opportunity. …. and there you have it, a chance to brighten your home, classroom, friends homes or just be creative for fun. So the summer holidays began for me on Friday afternoon. It used to take me several days to unwind at the end of the school year, but no longer. The brain is still thinking thoughts linked to work based topics, not least because more tweeting means lots of colleagues are still working this week. The last few months have been “eventful” and I have not had the capacity to go out and exercise, the spell has been broken. Saturday saw a tentative bike ride for the first time in months – how would I stand up to it? Would the bike work?? Well it was gentle,the bike liked that I had lost weight and 10 miles later I arrived home in a great mood. Sunday, I thought I would try a run cross country that became a walk/ jog that in reality was a walk, but quite fast. Four miles out in the local fields hot but again great to be exercising. Monday predicted the hottest day – a earlier bike ride was considered. Out by 08:15 and off to a local country park. I have no idea how far I went and tbh I do not mind. Out for two hours of country lanes,parks, tree tunnels, downhills, up hills and lots of fresh warm air. Yes I slept soundly after showering!! Tuesday has started with the UK wake up thunderstorm but already planned as an easier day with a relaxing walk with my wife later. As awake early to admire the rain lots of tweeting, and chat online with sister in New Zealand. In last few days made new contacts re spreading the Solo taxonomy message, made links with a Japanese exchange student from Sendai,reviewed recent events in my head and considering lots of ideas for a hobby that is not school related where I might make some friends for time out moments. More thoughts but will share those across the holidays as I plot ideas, reflect back on the year and attend a reunion for some ex pupils aged 36. Yes, the holiday has started and a nice lie in …. No nose bleed from son awakes household at 06:30 and delivery due that could be here from 07:00 but of course isn’t. So what is a person to to? Tweet of course, play with tech while relaxed and sat enjoying the cool. 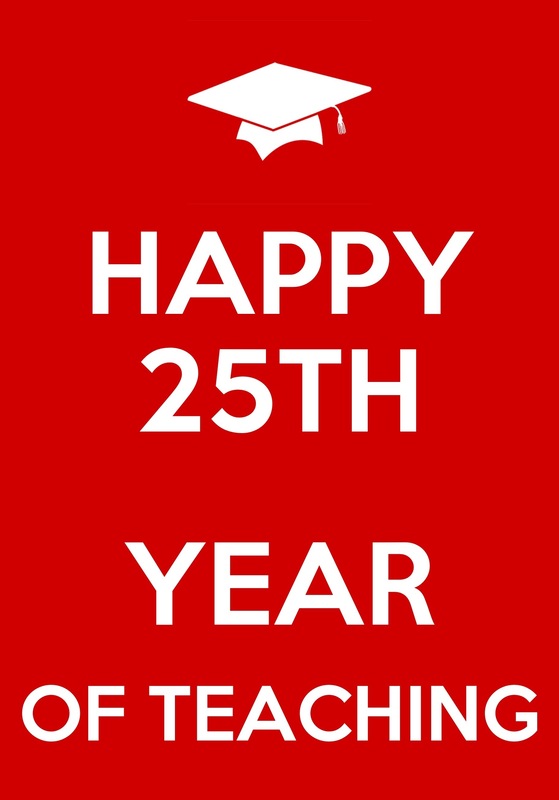 A significant year this time as I celebrated 25 years in the profession – how did I celebrate? Some keep calm based posters liberally spread around classroom which triggered a few chats this week inc the how old are you… 24+25 = 69??? and the old favourite my oldest ex pupils are now ….42 shock gasp horror. Thanks to my regular readers especially of the Life series of posts this last term. Things are brighter for me mentally, son is now off to next phase of treatment and I need to take opportunities to relax. A great year in so many ways. Many new ideas tried and shared. Recent weeks, a discussion to gain student feedback on learning environments on what is possible and a room rejig looking for new concepts for 2013/14. I will rest but I will also take time to read those lovely books purchased for birthday that have sat awaiting my attention. Sharing and developing pedagogy ideas and ways to enjoy next year even more. Well, for those who have read the previous life… posts you will know that life has been a bit of a roller coaster recently. Last week I kept to original target of returning to week after two weeks out. Generally teaching was enjoyable,back in the classroom sharing ideas,provoking thought but my absence was a standard “I was ill” with pupils. Some colleagues had read posts or heard answers very welcoming and kept a weather eye out for me over the week. Four days done,meetings, twilight session and then on Saturday the oomph drained but managed to pick myself up again. This week started well but today got to attend a meeting where for the umpteenth time, my wife and I had to spend 90 minutes or so answering questions about the past15 years of bringing up our son. Facts remembered, specifics lost in the mist of time and emotionally draining. It was a relaxed atmosphere but still emotional afterwards. Total meeting time 2 hours followed by visit with our son. The after effects on the drive home,a stop for lunch but a return home to sleep as drained. Feeling? Flat to low boundary. Yesterday I had an assessment for MH support, on the form I had included a record of low points of last 12 months struck home and therapy will follow. So I had my time out,I have returned to work and on the surface I am ok Hutu dee the surface the duck legs are flapping frantically. Summer holidays this year will include a large element of rest.